At the young age of eighteen, tragedy and a dark secret force Lara to flee all she has known and loves to start a new life. Now years later, with a new identity as Amy, she’s finally dared to believe she is forgotten–even if she cannot forget. But just when she lets down her guard down, the ghost’s of her past are quick to punish her, forcing her back on the run. 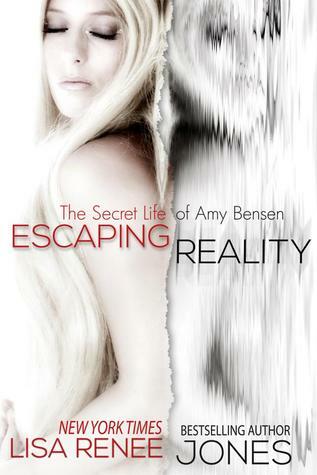 I was browsing Netgalley and was pleasantly surprised to find Escaping Reality as a Read Now book. However, that excitement was short lived. Escaping Reality was a big letdown. There's all this mystery about Amy. Who is she really? What happened to her family? Who is after her? Big surprise! You get NO answers in this book. Nothing. I kept reading, hoping that something would be explained. Honestly, it felt like a cheap ploy to get me to continue reading. Not cool at all. Other than that, you're left with something very typical and overused. If you feel like you've read this before, you might be right. Liam Stone is the typical damaged billionaire with a desire to control a naive girl. Amy Bensen just happens to be that naive girl that needs saving (mostly from herself, but who am I to judge). The mystery behind Amy might have been enough to save this story from being just another one of the same, but there aren't enough answers to save the story. There was something else that bothered me about this story, other than it being rather unoriginal. Amy is supposed to be on the run from someone that's dangerous, but along comes Liam and she's throwing all common sense out the window. Screw being safe! Instalove trumps living any day. Sorry, I just find it completely unrealistic. So, while I wouldn't recommend Escaping Reality, I may (or may not) pick up the second book to find out Amy's whole story.